We all know the tired tropes used for organization fundraisers; bake sales, car washes, marathons, all of these are somewhat overused in this day and age and do not give you anything that lasts the test of time in reminding you of your accomplishments. So, break the mold and try something new, offer those who donate to your cause something more substantial than a t-shirt and some homemade cookies, give them something that will stand the test of time. 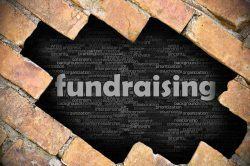 A brick fundraiser may be just what you need to raise funds and awareness for your organization. What? Not convinced? 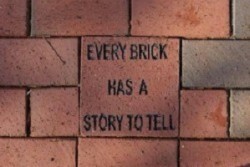 Let us at Bricks R Us show you why a brick fundraiser is just what you need to support your organization. Where a fundraiser utilizing goods as a means of enticing the populace to get involved traditionally has to have them on hand when the payment is made, a brick fundraiser is different. The fact that people are ordering the bricks from you means you do not have to accumulate a surplus of goods before the event starts. This will relieve the stress of not knowing if you have enough product to promote, or if you have too many and will be saddled with paying an unnecessary amount. We all want to feel like we have supported something important, and a little recognition does not hurt either. The act of letting everyone know that these are the people who helped with the fundraiser will promote a want to be a part of it. The one defining factor that a brick campaign has over other fundraisers is pretty obvious, the product. Well, these are not some generic promotional gifts you get for giving a dollar to a campaign, these are items you receive for truly trying to change the lives of others, and therefore you deserve quality. Each brick we offer is a work of art, engraved with our unique engraving process that inscribes without patented engraving process. Each one is tailor-made to the individual’s wishes, and are composed of a material, either clay or concrete, that will last for a very long time.